This lovely tree is between 15 and 20 years old. A versatile species fitting into many landscaping situations. It is particularly useful in softening a hardscape, and lends itself to under-planting with lush green foliage. Wonderful around water features, streams and ponds. The young spring growth is light green, darkening slightly over summer, turning into a beautiful display of oranges and reds in autumn. Shelter from strong wind. 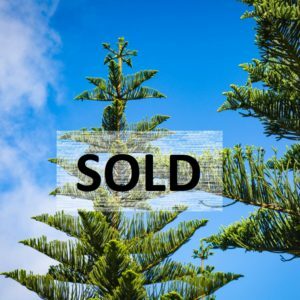 The majestic Norfolk Pine grows to mammoth proportions. 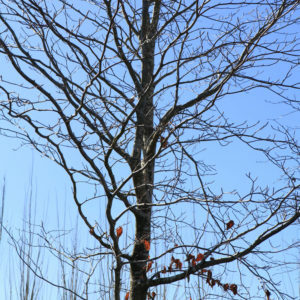 Its mature height is between 30m to 50m high in a vertical and symmetrical habit. The dignity of its straight trunk and its picture-perfect triangular form are an eyecatching wonder of nature. Native to the Norfolk Islands in the Tasman Sea northwest of New Zealand. These species have proved to be able to tolerate incessant onshore gales and have therefore been widely planted in coastal regions and open farmland. These 3 large specimens lend themselves to becoming landmarks on a sweeping rural scene or exposed coastal setting. They could also feature superbly as point-of-arrival trees on a large property or farm. This is definitely an ‘individual tree with unique charm and appeal’ and most certainly lives up to our tagline “Trees Of Distinction”. Nature has decided that this tree should attract attention, capture interest and create wonder, and so has given it this most dramatic trunk formation. Use your imagination to utilize this to its best advantage… interactive play for children and pets. Train your dog to leap through the trunks and be the skit of the year. Suitable as a opening within a hedge of the same species to a vista beyond, adapted to a quirky place to sit…??? The Carpinus ‘betulus’ is a deciduous species with heavily-textured bright green leaves changing to lovely autumn colours. Current Form: character, sprawling and natural. untamed. This beautiful tree of between approximately 90-120 years old was saved from imminent destruction in 2013, where it was located next to the long dilapidated historic buildings of the Pony Express Post in South Auckland. It took a determined effort of all involved to save this heritage tree from succumbing to the dreaded chainsaw. Now sitting comfortably in its new position on our estate, the Persimmon Tree is looking for a very special home perhaps in another historic property of significance. This tree is special, filled with character and dignity. It has central leader which expands into 3 sturdy trunks, giving it visual balance and a sense of harmony, while spreading outward and upward to its encompassing full foliage. 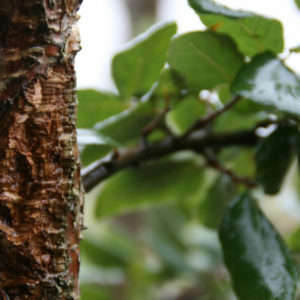 The thick, heavily textured bark resembles an alligators skin and the leaves are broad and veiny, luscious and vibrant. The Autumn color is highly ornamental and the brilliant fiery colors extend for a long period on the tree. Persimmons are a relatively uncommon fruit; they are sweet and juicy and as this is a very old astringent tree the fruit must be left to ripen fully before eating. Rich in vitamin A and B the persimmon is a excellent source of fiber and best eaten raw to enjoy the most nutritional value. Also suitable for preserves and cooking. 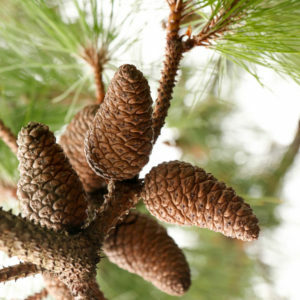 The tree is not only valued for its fruit but also for its wood; as a member of the Ebenaceae [ebony] family having strong, durable and resistant timber which among other things is used to make golf club heads, flooring, veneers and billiard cues. Please contact us to view this distinguished tree. 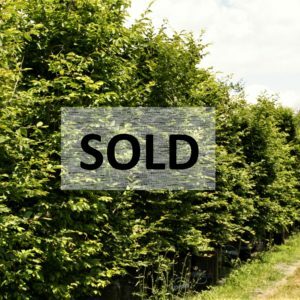 Possibly the most splendid of all the selection of English Beeches, this tree is looking for a distinguished property to showcase the outstanding features it has to offer. The gorgeous foliage of large deep purple leaves hold their display through the summer. In autumn the foliage drops and presents that pretty calendar-worthy autumnal scene of vibrant ground colour. This tree will reach a mature height of 10-15m with a large handsome dome shaped form. The perfect focal point in a garden design, this juniper’s distinct cloud topiary formation is sure to turn heads. Vivid bright green foliage. This species will tolerate drought and coastal conditions. Not tolerant of wet heavy soils. 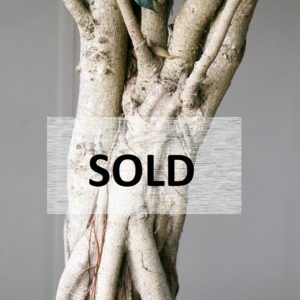 Availability; This Tree is under Contract. Please contact us for more options. 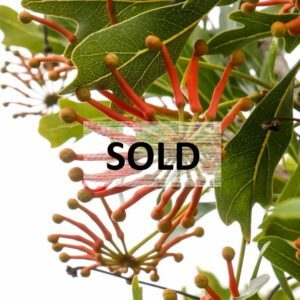 An outstanding example of a large specimen Pohutukawa, this tree would give immediate character to a large lawn or entrance or other landscape situation, and brings with it the atmosphere of our kiwi culture. 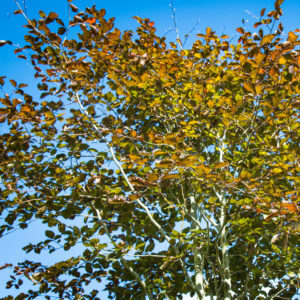 This specimen has been described by experienced landscapers as having the best form and structure for a tree of its size. This is the iconic New Zealand Christmas tree kiwis love with its bright crimson flowers heralding the arrival of the summer holiday period. This yellow flowering Pohutukawa tree of exceptional coastal form calls for children to play and climb in it. It would suit being central to a large sand pit or interactive area to provide shade and interest. 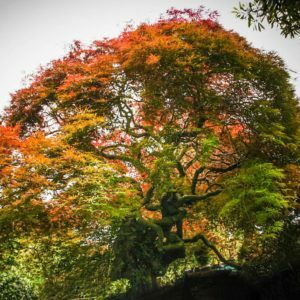 This unique tree also lends itself to be in a raised central position with up-lighting to show off its amazing branching structure. A stunning example of the yellow Pohutukawa. The Olea ‘el greco’ is an ancient species that is slow-growing and has a compact form, so would be ideal for screening or shelter. 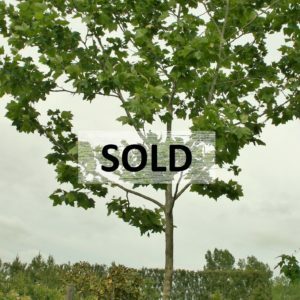 Its thin leaves gives a highly textured appearance making it equally suitable as a garden feature tree. 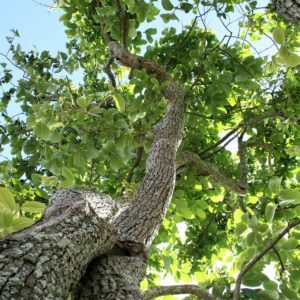 This specimen’s knobbly trunk and silvery leaves will offer authenticity and character to your landscape, plus a hint of Mediterranean flavor. Reliable crops with small fruits that have high oil content. Will tolerate dry and windy conditions. This authentic tree would look spectacular up-lighten in a restaurant courtyard or entrance, creating an atmosphere of natural & welcoming yet sophistication & grandeur. Or perhaps it will become an iconic landmark on a vast hill or plain. 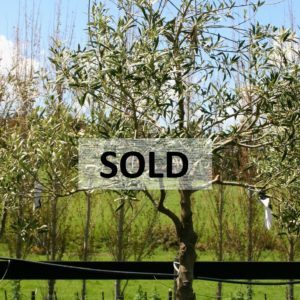 It could also successfully be an outstanding feature tree to compliment an existing olive grove. This beautiful large specimen is between 15 and 20 years of age, and it is sure to impart its splendor to whatever location it is planted. 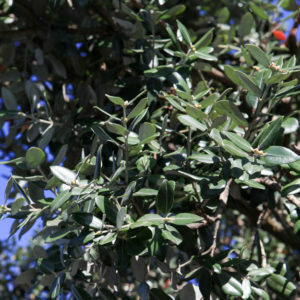 The Olea ‘nabali’ is a vigorous, high-yielding Israeli cultivar. Tolerant of wind and sea breezes. 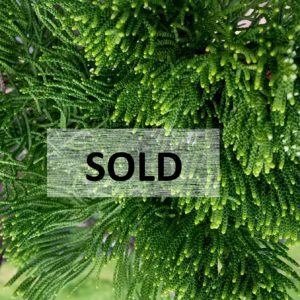 Tanekaha is a native coniferous medium-size forest growing tree. 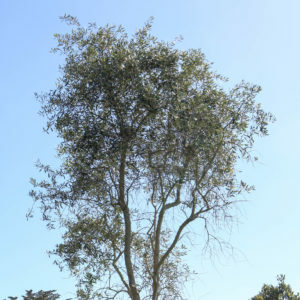 It is an attractive native tree with a conical shape, often found growing naturally with the New Zealand Kauri and commonly grown in the North Island and in the Marlborough/Nelson area. 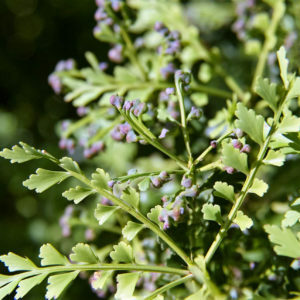 Its common name ‘Celery Pine’ comes from the celery-like foliage of this graceful tree. The Maori made fairly extensive use of Tanekaha, as it is one of the strongest and most flexible native softwoods. These 3 unique specimens are ground-grown with full adult foliage. Our photos show the very pretty miniature fruits that appear in spring/summer. 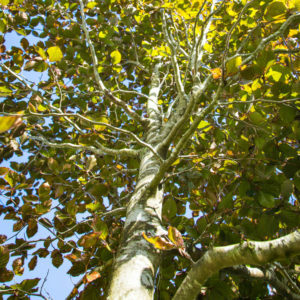 The London Plane Tree grows to a very large tree and can live for an immensely long time. 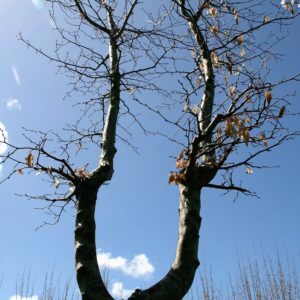 Often seen as pollarded street trees and used also as peaching and flat topped specimens the Plane Tree can be very heavily and brutally reduced each autumn to reduced the eventual size. This particular Plane Tree would suit a large countryside setting as a shade tree or as a distinguished point of arrival Tree. The motley, speckled bark is a testament to the age of this tree and giving the tree wonderful character. These 3 attractive trees are very similar in form, so planting them together as a grove or entrance feature would increase the impact and superbly showcase their beauty. 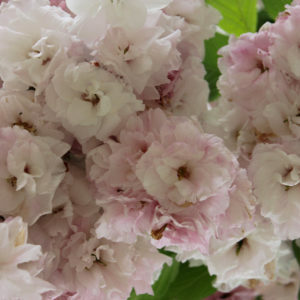 The Asahi Botan Cherry Tree is the last of the ornamental cherry tree types to flower. 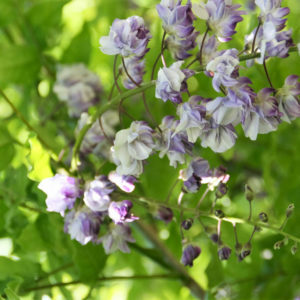 Its flowers appear in the late spring to early summer, and this often coincides with the new growth of bright green foliage. The flowers are double cluster of white and pink and hold well on the trees, given that its later flowering period is after the strong spring winds. It boasts a wonderful fiery orange autumn colour holding into early winter. A gracefully arching tree becoming flat topped with regular pruning. 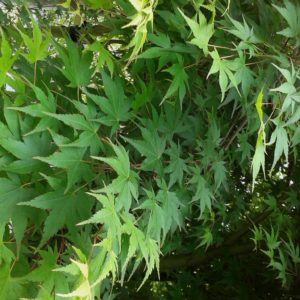 Large growing, short stemmed, wide spreading tree native to the Mediterranean . Very thick corky bark is harvested off trees at least 25 years of age for wine corks and tiling .This tree tolerates hot dry sites and is found growing on very hilly country in the Mediterranean unsuited to other crops. A wonderful tree in a well drained and hot courtyard .A tree worthy of a place in a interactive setting where children can tack things to the deep fissured bark. Frost and coastal hardy. This handsome but slow growing tree is endemic to the rainforests of Australia’s eastern seaboard. 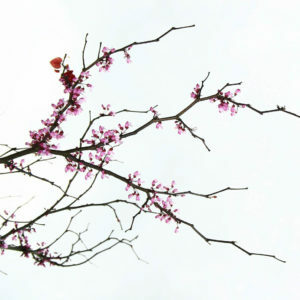 Flowering of this tree takes place in only mature specimens of 8-12 years of age. Our specimen has been flowering consistently for the last 3 years with orange to red skittle shaped buds opening to contorted flowers arranged in a cluster that look like spokes on a wheel. This particular Stenocarpus ‘sinuatus’ has been grown as a multi leader specimen to form a large bush. Very rare in cultivation this tree would compliment a warm tropical courtyard or inner city garden. Large lush leaves of green form a dense crown. Plants to accompany this tree would include Tupidanthus ‘calytraptas’, Cinnamonum ‘camphora’, Dypsis ‘baronii’, Cunonia capensis, Strelitzia and Ficus species.